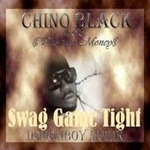 From Chino Black's "Pillsbury Money" Mixtape. Also, This Song Is On Chino Black & Niece "The Best Of...Chino Black vs. Niece" Mixtape. Produced By Lava. ©2008-2015 BCEntertainment Copyright. All Rights Reserved.